This week on the podcast we’re joined by body confidence coach, Instagrammer, speaker, YouTuber, podcaster and author, Michelle Elman. Having had 15 surgeries in the space of 20 years, Michelle noticed that there was minimal representation of people with scars in media. She started the campaign #scarrednotscared and shared a picture of herself in a bikini and the post went viral. This really catapulted the work that she was already doing as a coach, and now she shares her expertise in body confidence in all kinds of mediums, including her recently published book, Am I Ugly? In this episode Michelle talks about the difference between body positivity and body confidence, how to increase your body confidence, the power of our unconscious mind, when therapy vs. coaching is most helpful, the purpose of her book and so much more. 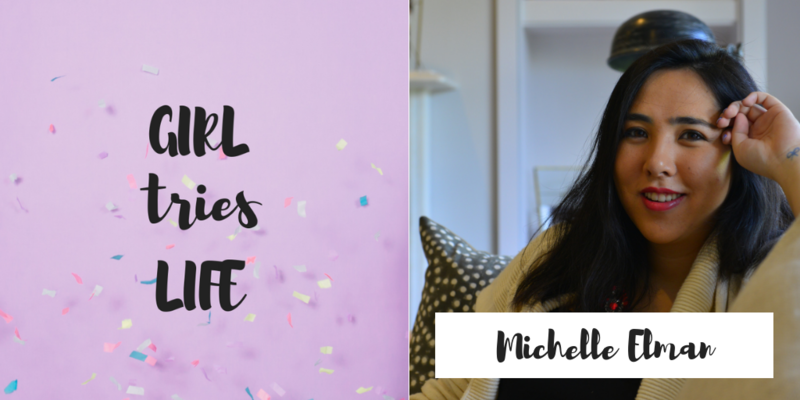 I was honoured to have Michelle join the Girl Tries Life podcast as she dropped some real wisdom for our listeners. Fun fact, for the first time I’m doing a giveaway in the U.K. and will be giving away a copy of Michelle’s book, Am I Ugly?, to a UK follower on Instagram. All you have to do is head to my Instagram page and look for the post with me holding her book, and you’ve got 48 hours from this being published to enter to win. And, if you share my mission to decrease your stress in 2019, join me here. Look Back. Let Go. Move Forward.